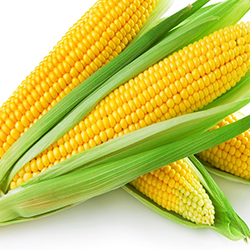 Quality assured and with a rich taste, our Sweet Corn is guaranteed to be the sweetest corn in India, especially since they are grown with no artificially colors, fertilizers and pesticides. Hand picked and processed in our state of the art facility, our Sweet Corn is guaranteed to be the best deal on the market. Acclaimed for their rich flavor, high quality and extreme freshness, our products are guaranteed to reach you doorstep in the fastest time possible, in the freshest state possible.